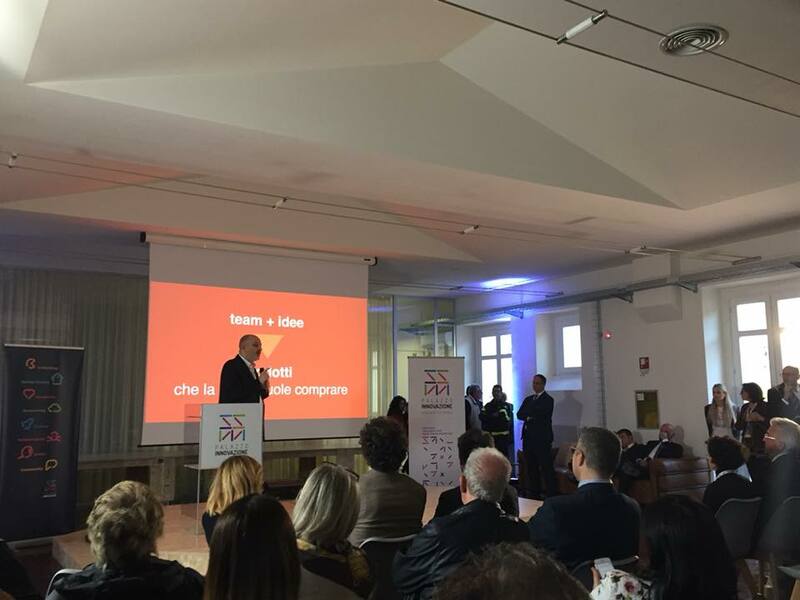 Last Thursday, I was invited to speak at the inauguration of the Palazzo Innovazione, a beautiful medieval building in the historic center of the city that today – thanks to Roberto Ascione, founder of Healthware International – hosts a hub dedicated to digital innovation: 4,000 smt, 300 desks, a 100-seat event space, high-speed connectivity. I talked about the importance of teaching innovation and providing innovators with a space in which they can experiment and make mistakes. Innovation is the ability of a team to turn ideas into products that people want to buy. Better if it is so many people. Innovation is a mindset and therefore it is not just digital, because you can create a product in many different ways. For example, Cirque du Soleil has reinvented the circus by eliminating the animals and creating incredible acrobatic shows. Yellowtail has created a label for people who did not choose wine as a drink because they were intimidated by the choice. And so, an Australian producer has become one of the most popular wineries in the world. Obviously, technology allows us to reach unimaginable goals and to transform science fiction into reality. Autonomous transport, bionic prostheses controlled directly by the brain. Most of us would already be dead if the medicine had not taken the giant steps it did in the last 100 years. But the essential thing is that if there is not a team that knows how to turn technology into products that someone wants to buy, there is no innovation. There is research and development, there are inventions, but there is no business. So we have to ask ourselves: how do we improve the ability of a team, a company, an industry or a territory to innovate? I have two answers. The first is: training. In the last twenty years, a new line of studies and research has born to help innovators to reduce the risk of failure when designing and launching new products on the market. Academics and professionals are codifying strategies, tools, processes. Probably many of you have already heard of customer development, lean startup, business model canvas, blue ocean strategy, jobs to be done, design thinking. Someone in this room will have books by Steve Blank, Clayton Christensen, Eric Ries or Alexander Osterwalder. These are essential skills that people who want to create new products and start a company must have. Unfortunately, it is not easy to find these topics in university courses, because it is a relatively new subject. I can say this with full knowledge of the reason, because I teach at the Economics Faculty of Roma Tre University. Probably, the university is not even the right place to teach how to do innovation. It is difficult to experiment in a classroom with benches bolted on the floor. Therefore, we need places like Palazzo Innovazione, where students from all the faculties (scientific and humanities) and to people coming from businesses can access the know-how on how to make innovation. Furthermore, we need new teaching methods, because lectures don’t work. People must be able to do, because innovation is a practical thing, you have to put your hands in the dough, experiment, make mistakes, try several times. Above all, innovators must be able to make mistakes. And here I come to my second answer to the question: how do we improve the ability to innovate? It is necessary to invest in errors. When you try new roads, you make many mistakes. It is physiological. Space X destroyed several missiles in an attempt to make them land. They knew it and they invested in the error because they had to learn. We must learn to invest in errors because mistakes generate knowledge. All great entrepreneurs have made a lot of mistakes, even if we forget it. Steve Jobs for example. The first Mac was not a great commercial success and that is why Jobs was ousted from the company. Jobs’s second computer, Next, was a commercial failure (he sold only 50,000), but it supplied the computers that Pixar needed to make wonderful animated films. And after a series of mistakes, Jobs returned to Apple and the rest of the story is known. I conclude with a wish that Palazzo Innovazione will be a place, closely connected with the universities, where people can learn to make innovation and make mistakes.